Being reserved and quiet doesn’t mean one is an introvert, just like being loud and lively doesn’t mean one is an extrovert. The main distinction between introverts and extroverts is that the former needs quiet, self-reflection to recharge, while the latter is pumped up by being around others. Introverts need alone time—extroverts need group time. 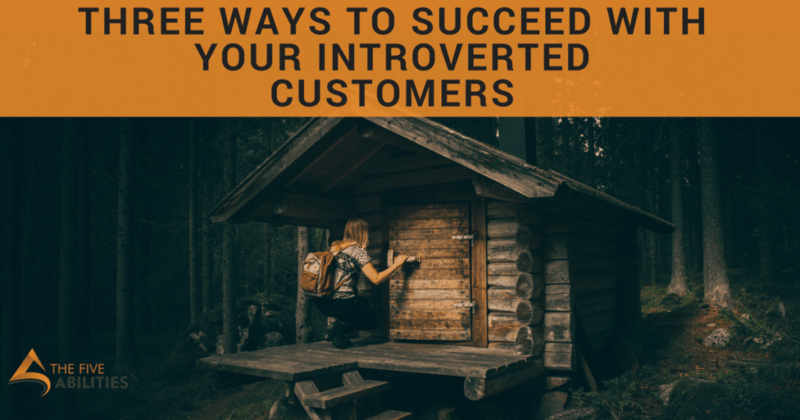 Recognizing introverts and helping them get their alone time is a skill of great salespeople and a big part of how to succeed with your introverted customers. People make business decisions for personal reasons. This means working with them as their introverted or extroverted self-needs to work. 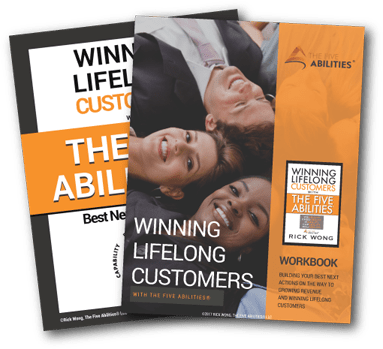 You must recognize which they are and engage in a personalized way. The problem is that most of how we’re taught to engage in business tilts towards extroversion. Cocktail hours, trade shows, meetings, meals, press, etc. All are part of business and introverted leaders learn to succeed in this environment. However, they still need alone time to be happy while they perform. It’s critical that you’re able to recognize introverts so you can succeed with them. As Susan Cain says in her impactful book, Quiet: The Power of Introverts in a World That Can’t Stop Talking, many equate extroversion with leadership. Unfortunately, that misbelief leads many, especially in western cultures, to exude seemingly extroverted behaviors even when they’re really introverts. This makes it hard to identify the trait but it’s still possible. Introverts who have learned to apply their strengths in business still need to find alone time to recharge and they’re very creative in doing so. Here’s some things to look for. Meals are a part of doing business. A day of meetings ends with a nice dinner. Introverts enjoy getting to know co-workers and customers—that’s not the problem. They just need alone time to recharge. One telltale sign you’re working with an introvert is when it’s time to drive to the restaurant and they say, “I need to go back to my room—meet you there.” This is an introvert getting their alone time—you help by letting it happen. I had a manager who would excuse himself before dinner, return to his room, take a 30-second shower, be ready and refreshed before we knew he was gone. I learned the benefit of helping an introvert get alone time from him. We were with my Japan team. I disagreed with him on something. He yelled, “that’s stupid!” and we argued while the team sat uncomfortably. Introverts are very creative about finding alone time. In Asia, many still take cigarette breaks. The extroverts invite others to join them while the introverts disappear. In parts of the world where smoking has declined, introverts just take a walk. It may start with a restroom break that ends with a walk. Sometimes I walk in the rain, knowing others won’t follow. I park far from the building entrance so I have a long walk before a meeting. I learned from that same boss that if I stand at the far reaches of a hallway—phone to my ear—nobody will bother me. I enjoy driving and thought this was just me but I’ve learned that many crave alone time in their cars. It’s not green but when I need to recharge, the last thing I need is to be in a crowded vehicle. When you see people talking to themselves in their car, they could be on Bluetooth but they could also be introverts, like me, self-reflecting out loud. On the other hand, if you see someone driving with the windows down, music blaring, singing “Ba-Ba-Ba” to Neil Diamond’s Sweet Caroline—you may have found an extrovert and you’re now part of their group. Sing along—help them recharge!